The circulation of air flows in each room. 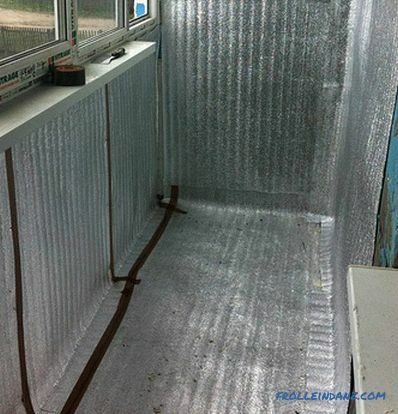 In order that in the room there was no excessive humidity and stuffiness, vapor barrier is necessary. 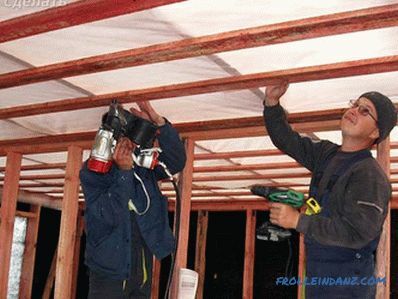 In this article we will describe how to lay the vapor barrier on the floor, walls, ceiling, consider which side to lay the vapor barrier to the heater, and also give photos and video instructions. During the cold season the indoor temperature is much higher than outside, respectively, and the humidity there is much more accumulated vapors trying to escape from the house. 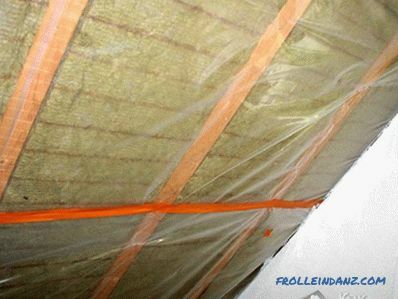 Even in the presence of high-quality thermal insulation requires protection from moisture in the form of vapor barrier material. 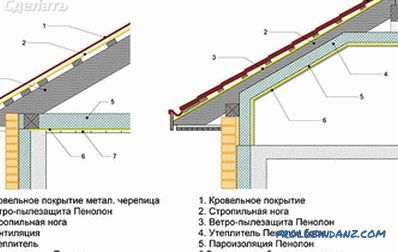 Its function is to prevent the penetration of moisture into the structure through existing slots, gaps and holes. 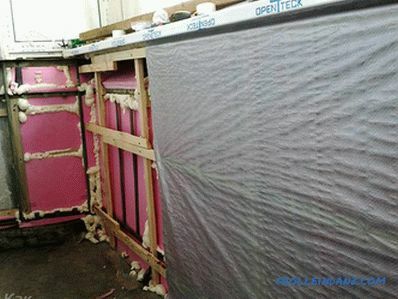 The waterproofing material protects the insulation from the interaction with moisture from the outside of the house, and the steam insulator - from the inside. 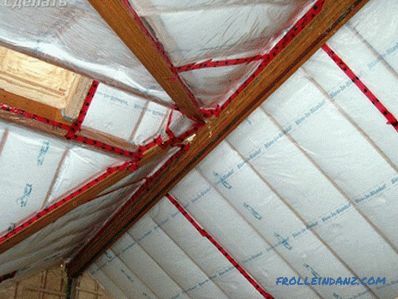 Vaporous insulation materials are subdivided, depending on vapor permeability, into limited and complete. 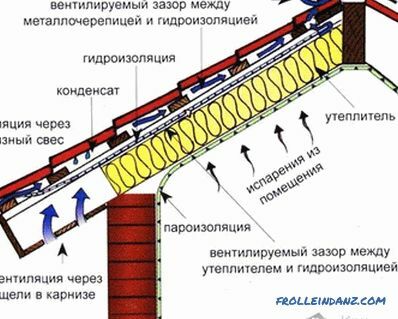 Steam insulation is used not only in the construction of residential buildings and other structures , but also in addition to materials that absorb moisture, as well as to isolate communication lines. In order for the procedure to have the expected result, the vapor permeability of the multilayer structure must increase from a warm surface to a cold one. 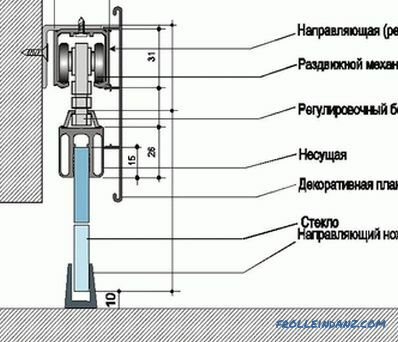 For this reason, the steam insulator is mounted from inside the roof, walls and floors. tight glued paroizolyator to the surface of the walls. Construction stores offer a huge selection materials for vapor barrier, and depending on the manufacturer they all have their own characteristics. In the manufacture takes into account ease of installation, humidity and climatic conditions of operation, the functional purpose of the room. Today, many manufacturers produce material that prevents fire, steam penetration, contributes to the withdrawal of excess moisture. 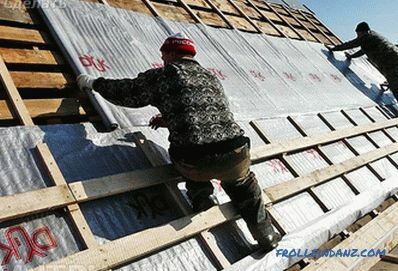 In our country, for a long time, polyethylene film was produced as an insulator from steam, however, a high level of competition and the requirements for the material prompted Russian manufacturers to develop special building insulators. 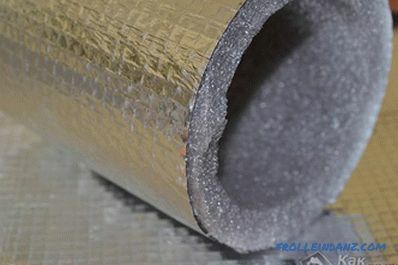 Today we can safely list several manufacturing companies that produce vapor barrier material based on foiled polyethylene, metal-coated films and vapor-insulators with laminated film, which not only successfully cope with the assigned functions, but also are resistant to ignition. 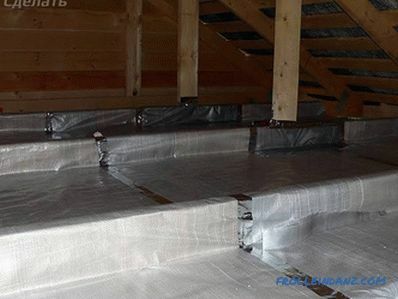 In order to choose the best material you need to consult with a knowledgeable professional in all the subtleties of installation, knowing which side to lay the vapor barrier, what material to choose exactly for your room, and the like. 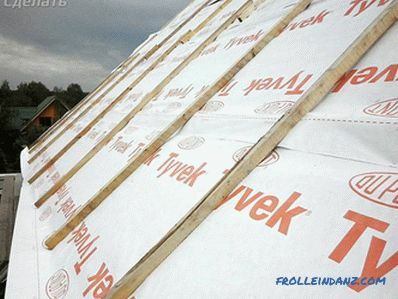 As a rule, newcomers to the construction business rely on cost, manufacturer and field of use when choosing, but this is not enough to perform high-quality insulation. The list of distinctive features is much more extensive and requires a more responsible and professional approach. 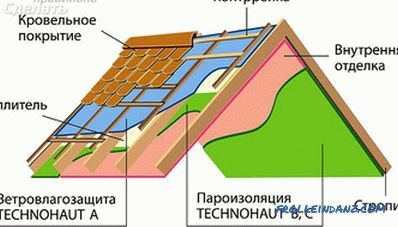 As an example, the insulation of the roof, in the implementation of which an important role is played by the planned structure, layers, slope, climatic conditions and temperature inside the room. Already building on this, preference is given to an insulator with high, medium or low vapor permeability. 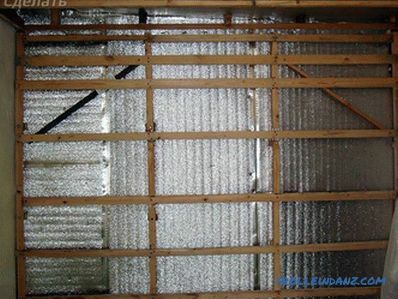 For effective vapor barrier, you must have supply and exhaust ventilation inside the building. Fencing of insulating material from interaction with moisture, both inside and outside. 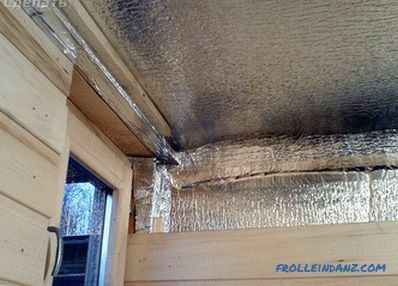 Styling of the vapor insulator exclusively from the warm side of the insulation. 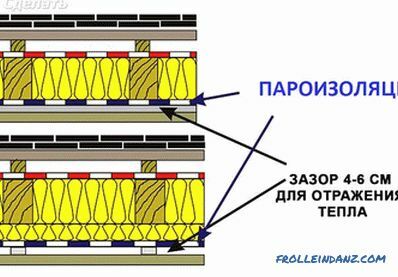 Mandatory fixation of the material at the joints and in places of contact with the surfaces with a special tape and glue. 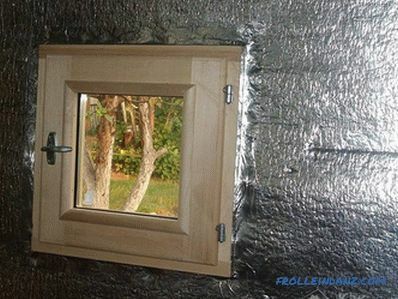 In any case, the installation must be completely sealed. In case of violation of technology, you will have to redo everything anew, which would entail major financial losses. 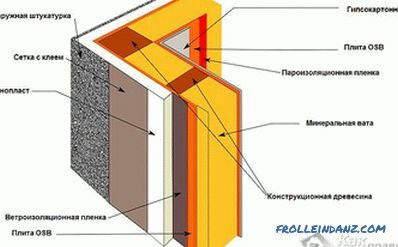 For the implementation of high-quality insulation it is necessary to have on hand many special tools, many of which are determined by the characteristics of the material. 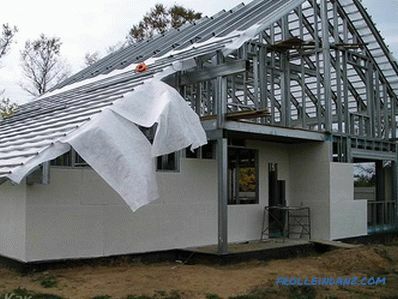 But in some cases, the vapor barrier is placed on both sides of the insulation. Much easier to do the work in the new building. If you are doing repairs, then first of all you will need to completely eliminate the old coating until the subfloor. 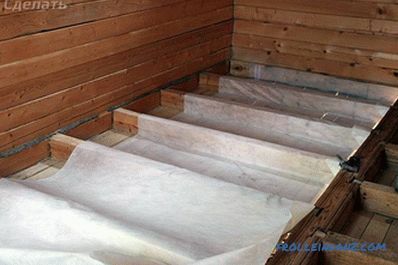 Even if you plan to install a floor heating system, it is recommended to lay a vapor barrier and insulation between the pipes of the water floor heating. The film must be completely stretched over the floor surface. 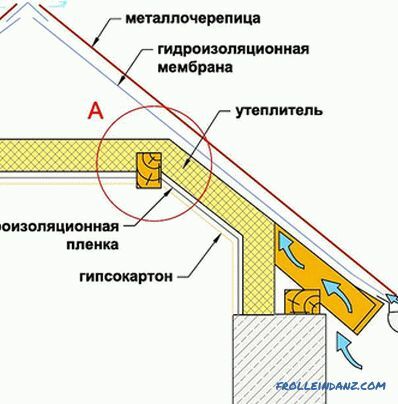 It is recommended to leave between 7 and 15 cm of ventilation gap between the insulation and vapor barrier. If a diffuse membrane is used, such gaps are not needed. So in which direction you will lay the material does not really matter. But the installation side of the vapor barrier plays an important role. As a rule, company lettering should be on top. If the film does not have an inscription, then the metallized side is laid up, and the rough side on the insulation. If you use a simple plastic film, then there is no difference. 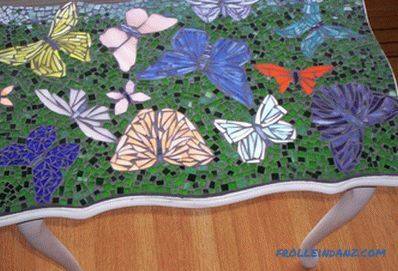 Regardless of the selected material, the canvas is laid with an overlap of up to 20 cm. Between themselves, they are fastened with tape. 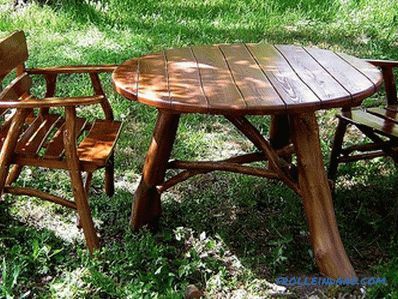 If the base is wooden, then on top you can additionally fill the slats in 50 cm steps or fix the vapor insulator with a stapler. 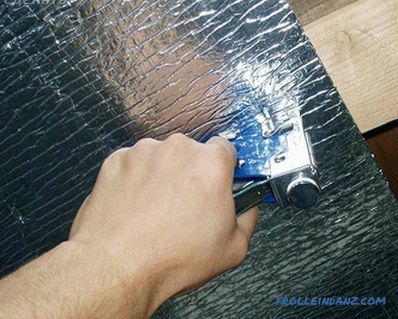 Another type of vapor barrier is to use liquid rubber. 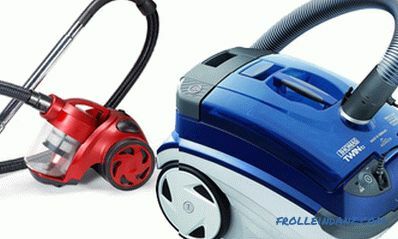 For its use to prepare the surface of the floor in a special way is not worth it. Rubber is spread over the surface with a roller or spatula manually. The only thing you need is to remove all rubbish from the surface before starting work. In this case, it is best to vacuum the floor. As a result, the rubber will completely prevent the penetration of moisture under the floor covering. 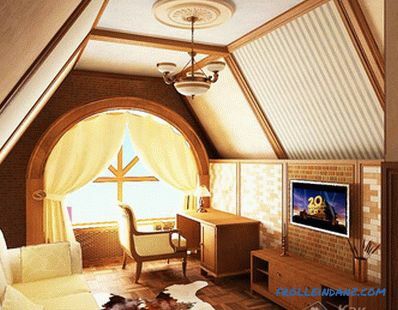 The air in the room will be light; you can forget about the smell of damp and mold forever. The technology for applying liquid rubber is particularly relevant when working with wooden floors. 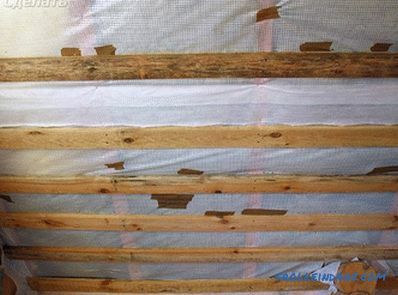 Different materials can be used to vapor barrier walls. 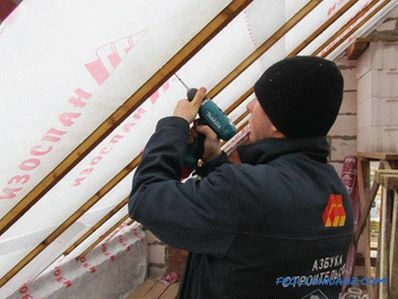 So, if rolled material is used, the installation is carried out in a horizontal position. 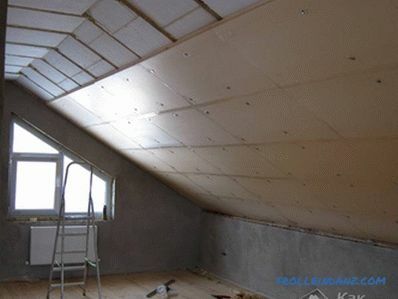 Laying starts from floor to ceiling. In addition, each subsequent strip is mounted overlap. 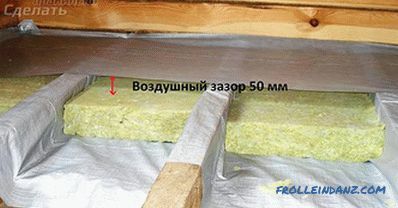 The joint is glued with tape or other special compound. It is important that the connection is completely sealed. If there are places where the material is adjacent to a stone or concrete surface the film should be glued. It is important to achieve tightness. 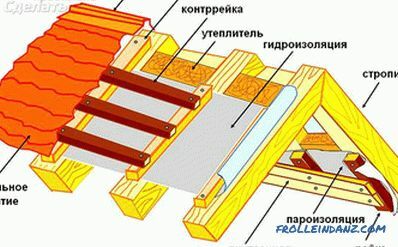 If you build a wooden frame on the wall, then the film is attached by a stapler to wooden bars. To do this work is necessary even with concrete ceilings. When the temperature drops, the accumulated condensate can after some time provoke the appearance of mold and fungus, which is not so easy to deal with. The surface is cleared of debris and old finishing material. All existing gaps and defects of the base are smeared over. The ceiling is primed and dried. As mentioned above, the steam insulator is overlapped with the wall. It is attached to the ceiling with a stapler. 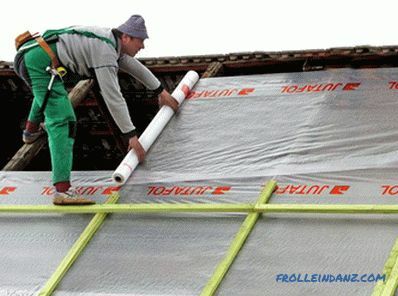 It is good if there is a possibility to treat the vapor barrier with reiki. The pre-joint is covered with a waterproof tape. On the ceiling, it is enough to do an overlap of up to 10 cm. There is no need to tension the material too much.But it should not be allowed to sag. Otherwise, condensate will accumulate on the film and polyethylene may break through. 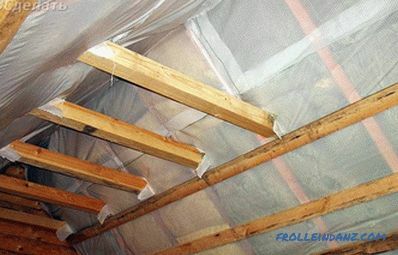 Remember that vapor barrier on the ceiling can not pierce. 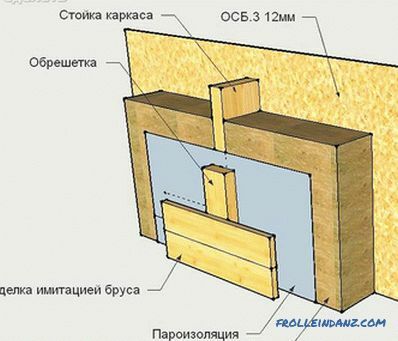 Therefore, the ideal option is to lay the film on a wooden frame.